Le Rivage is an exclusive high-rise condominium community on the beach in Park Shore. The homes are large and the views expansive. 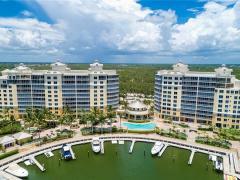 Le Rivage is among the best addresses in Naples. Have any comments or questions about Le Rivage Condos? Ask your question and/or share your thoughts about this Building.